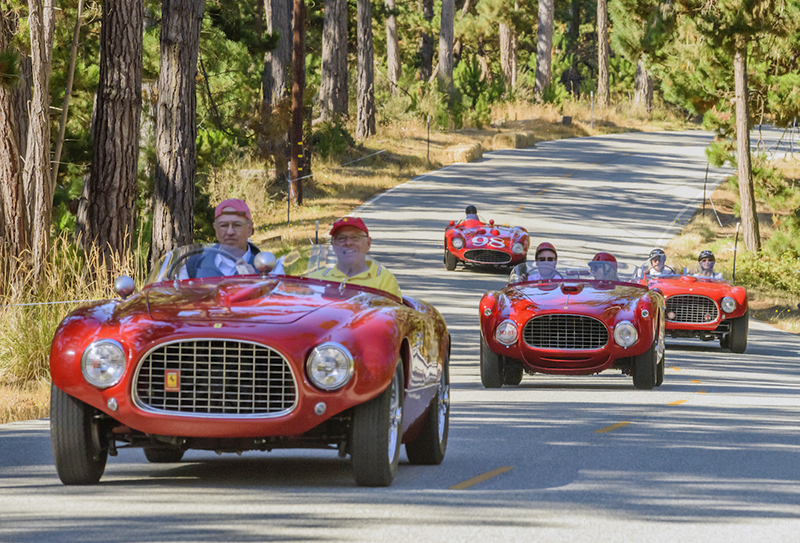 Ferrari enthusiasts gathered last month at the 2017 Monterey Car Week to celebrate the 70th anniversary of the company’s founding. 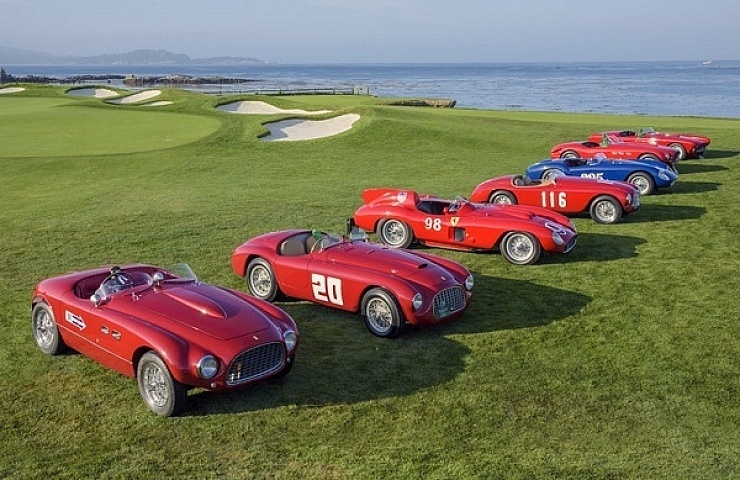 A mind-boggling assortment of extraordinary vintage Ferraris could be seen nearly everywhere we turned at the week’s events—at the Quail Gathering, Concorso Italiano, Pebble Beach, and on just about any road in Monterey. The 166 MM, a street-legal sports car produced between 1949 and 1952, was an evolution of the Ferrari 125 S race car. Powered by a 2.0L 150-horsepower V-12 engine, it was a favorite among gentleman racers of the era. 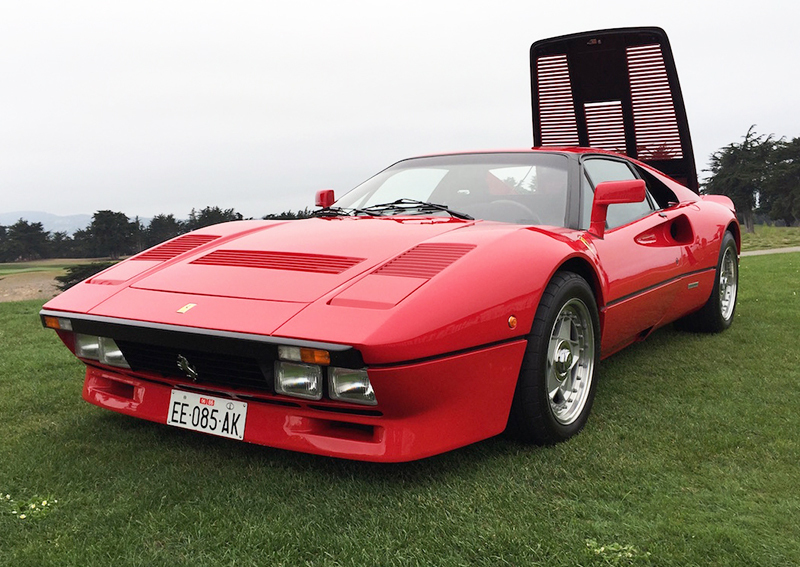 Niki Lauda is the original owner of this Ferrari 1986 288 GTO. Motoring fans also got an up-close and personal look at the 1986 288 GTO, one of the marque’s most revered models from the 1980s. The car was an exotic homologation of the Ferrari 308 GTB, designated “GT” for Gran Turismo with the “O” for Omologato (Italian for “homologated”). The car was built to compete in the FIA’s Group B racing and rallying series—with the requirement that at least 200 cars be homologated (certified for street use). The street version became an instant classic. Of the 272 cars built, several Ferrari F1 drivers were personally given GTOs by Enzo Ferrari. The model on display in Monterey was given to three-time F1 World Champion Niki Lauda. A marvel at the time, the 650-horsepower 288 GTO blazed from zero to 60 mph in less than five seconds, with a top speed of 225 mph. Film director Roberto Rossellini purchased this car in 1954 for his wife, Ingrid Bergman. 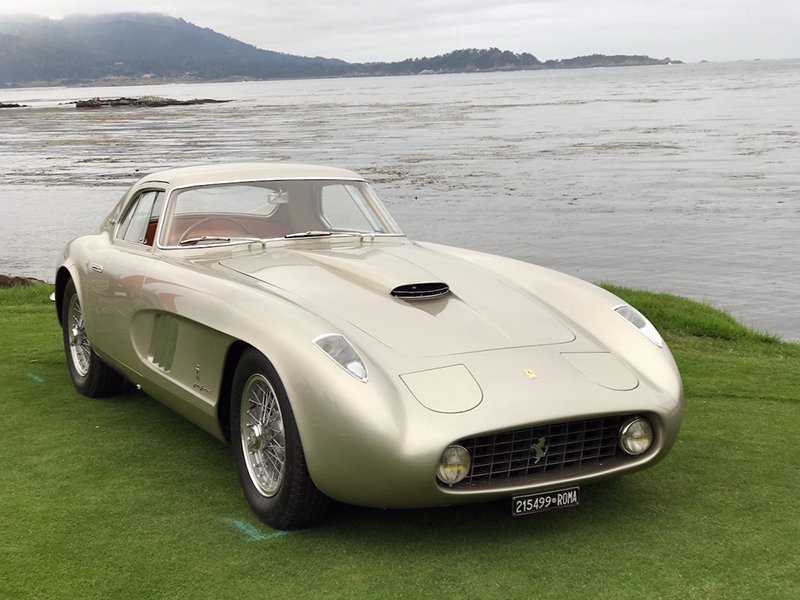 Another extraordinary Ferrari on display was the 1954 375 MM Pininfarina Berlinetta originally purchased in 1954 by film director Roberto Rossellini for his wife, actress Ingrid Bergman. 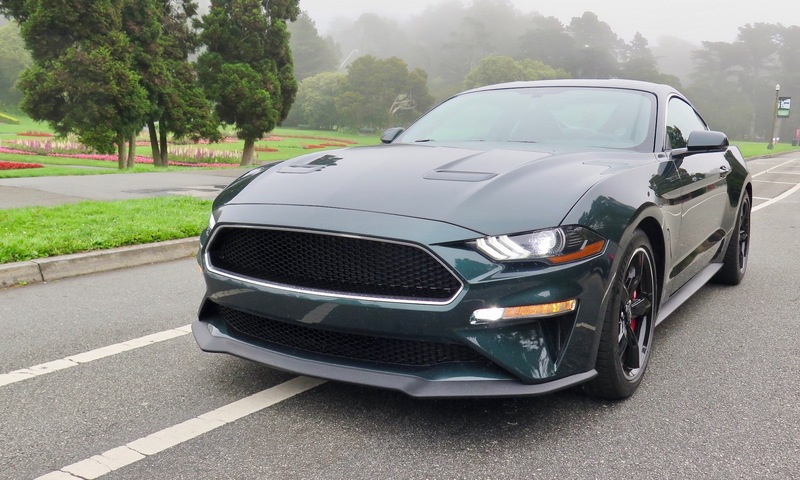 For nearly 40 years, the car was owned and driven on US streets by an American enthusiast. The model, which was constructed by Carrozzeria Pininfarina, was first shown at the 1954 Paris Auto Show. Sporting hidden headlights and fins on the rear fenders, it served as a styling study for the 275 GTB built 10 years later. 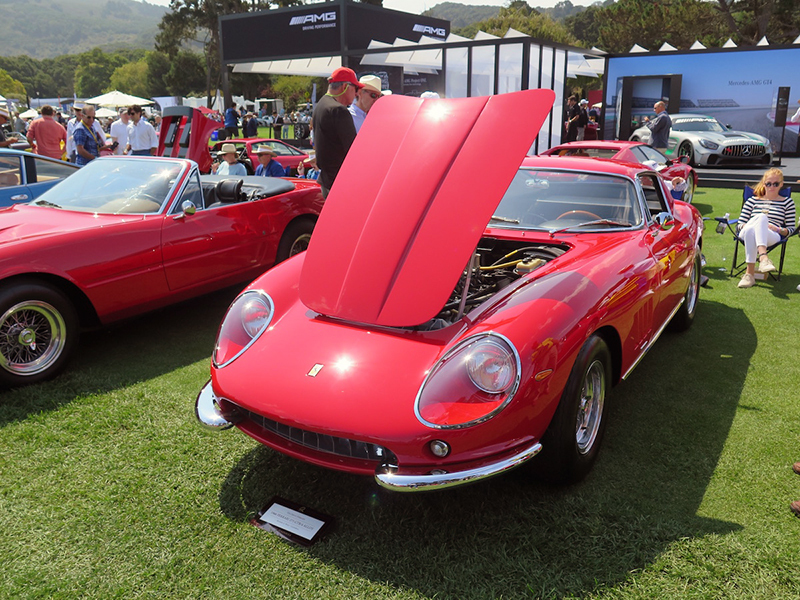 This Ferrari 275 GTB is one of a series of two-seat V-12 GTs—the first Ferrari model equipped with a transaxle. The 275 has a 3.3 liter V-12 four-cam engine that produces 300 horsepower. A grand total of 280 units were constructed. The aluminum-body 420-horsepower 1967 Ferrari 412P sold to Dean Martin Jr. in 1968 was a top finisher in major races of the era. 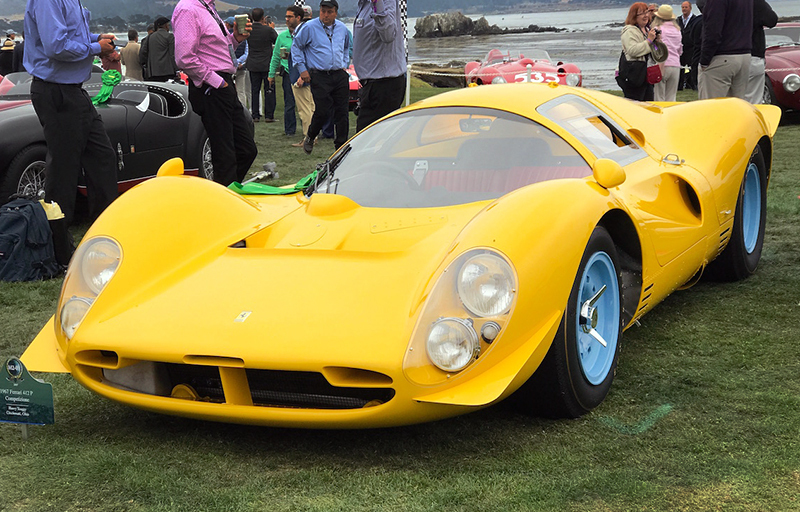 Its current owner recently returned the 412P to its Berlinetta coupe configuration—staging the 412P’s first public appearance in Monterey since being restored to its original racing specifications. The 2017 Ferrari 488 GTB debuted in 2015. The Ferrari 488 GTB, the marque’s flagship that debuted at the Geneva Motor Show in 2015, was also on display. The model’s V-8, turbocharged, dry-sump engine has an output of 661 horsepower—powering the Ferrari from zero to 60 miles per hour in a remarkable three seconds flat.